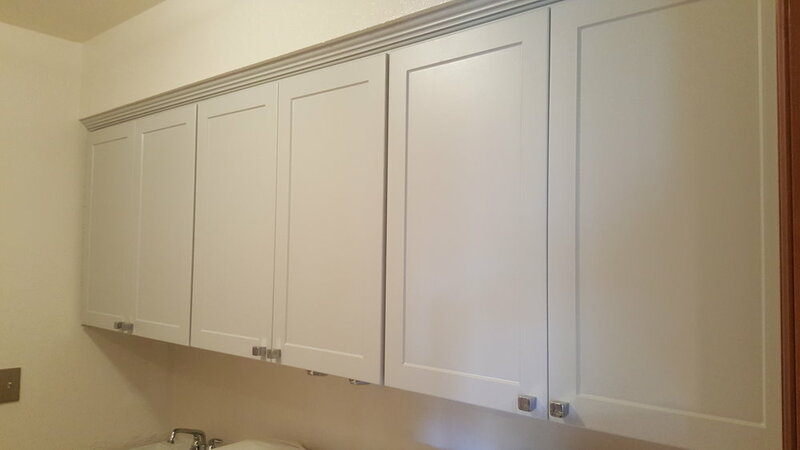 Recessed panel doors with clean straight lines. 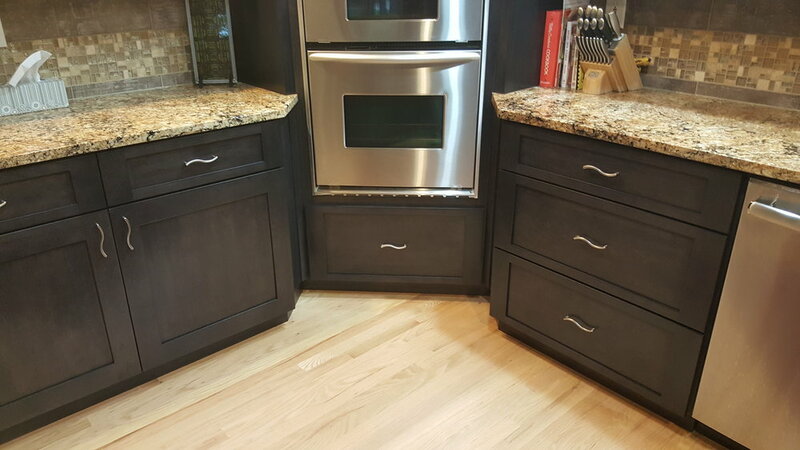 Notice how the shaker kitchens can look either traditional or modern depending on what trim and hardware they are paired with. 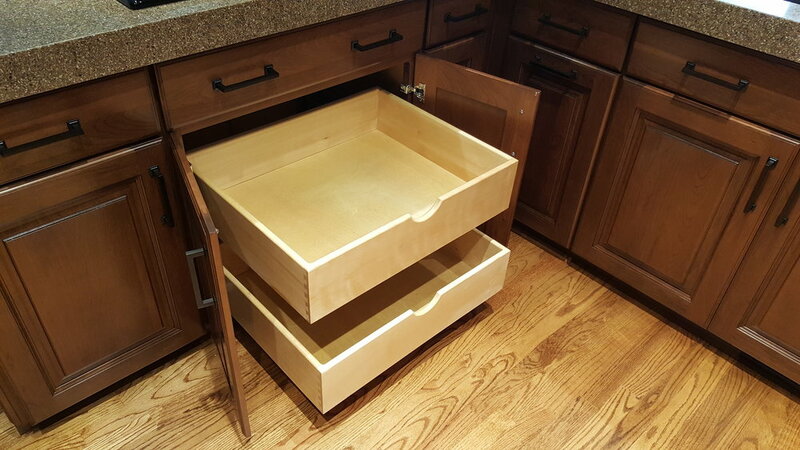 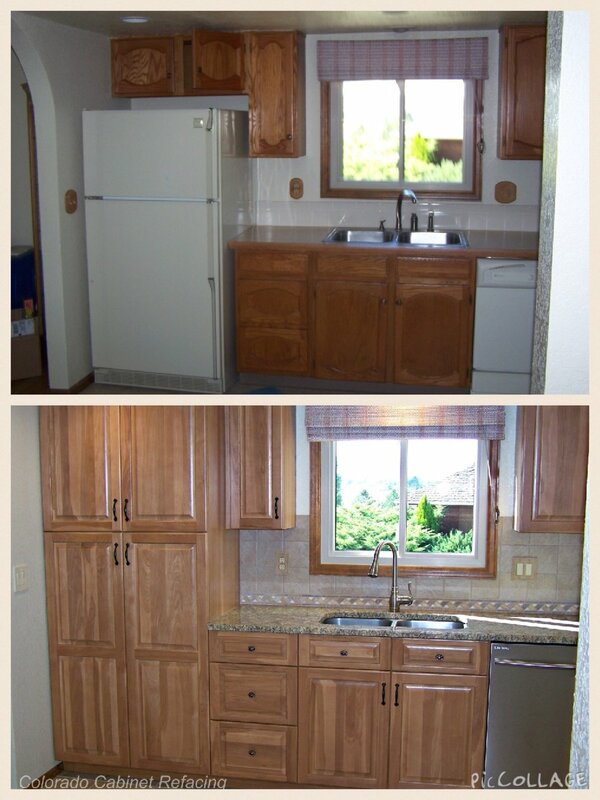 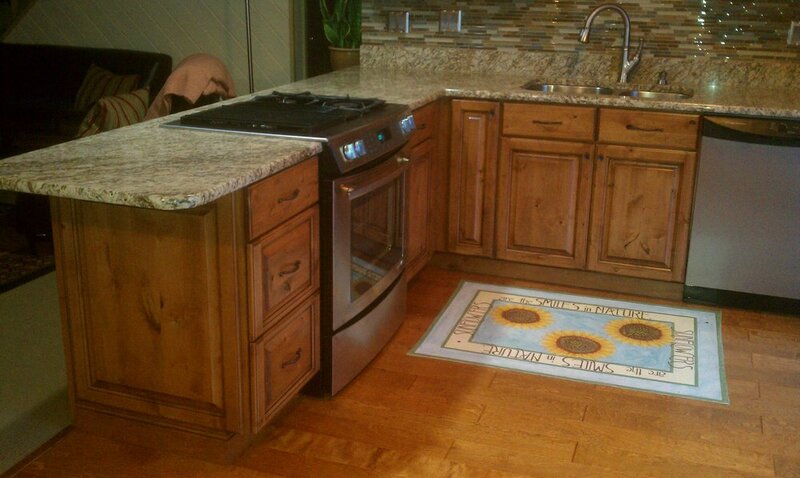 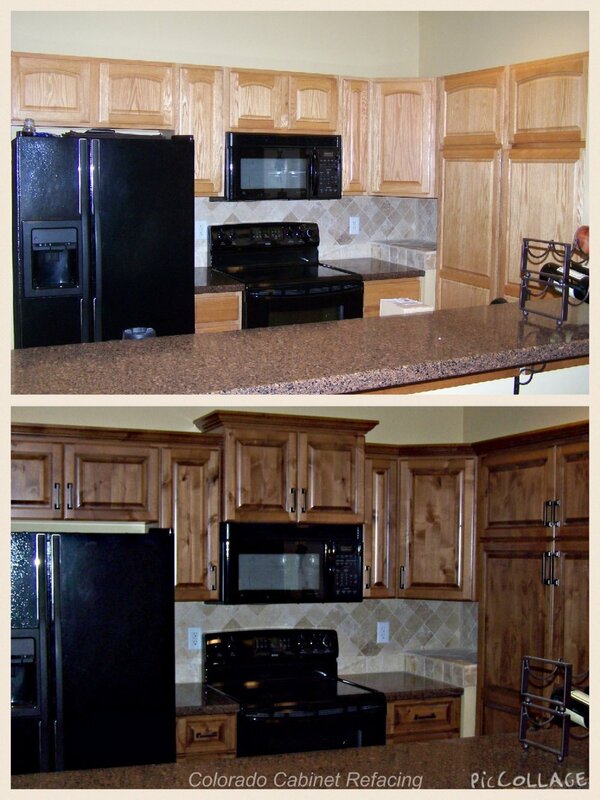 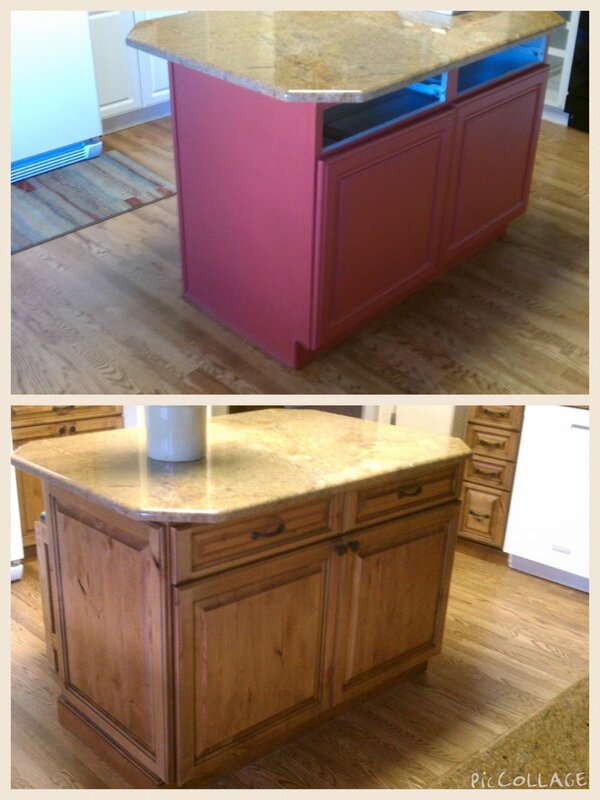 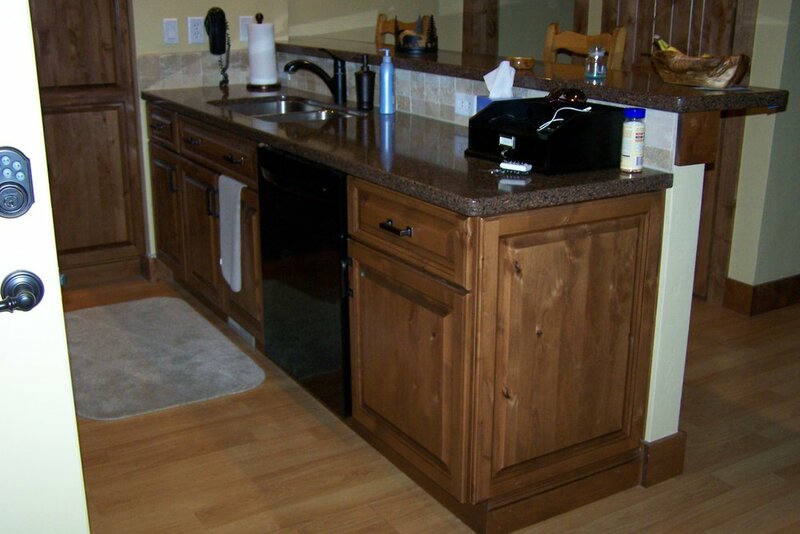 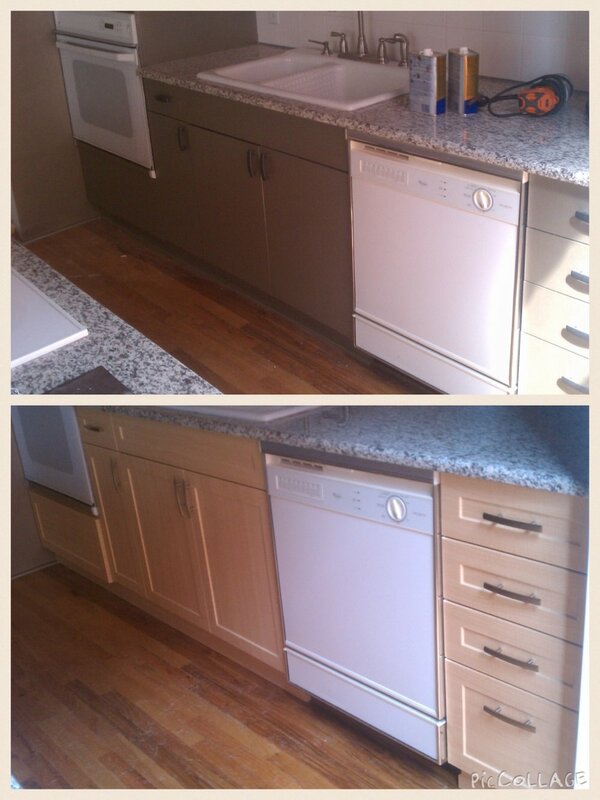 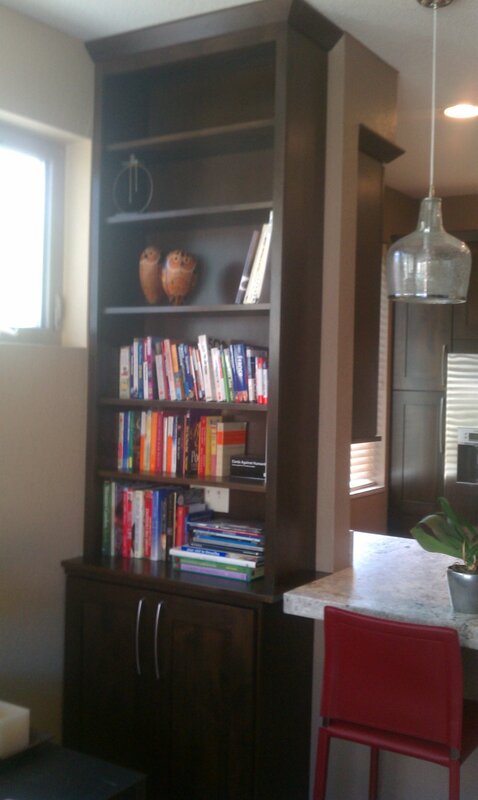 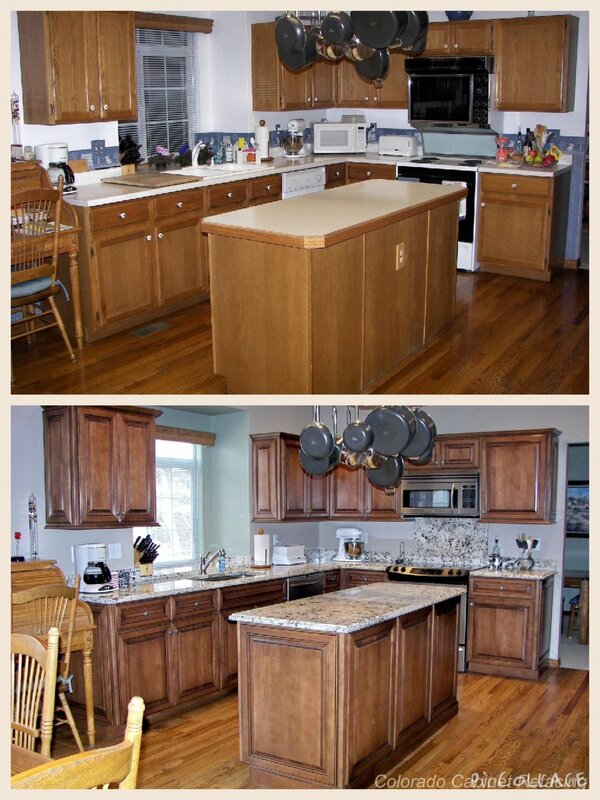 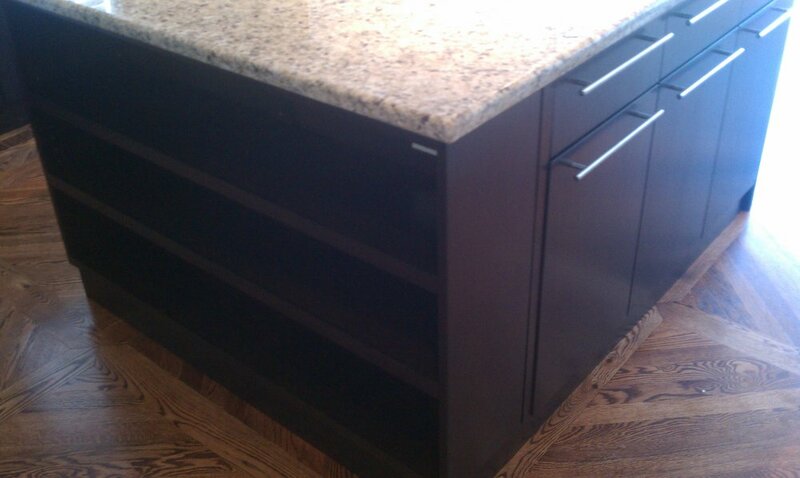 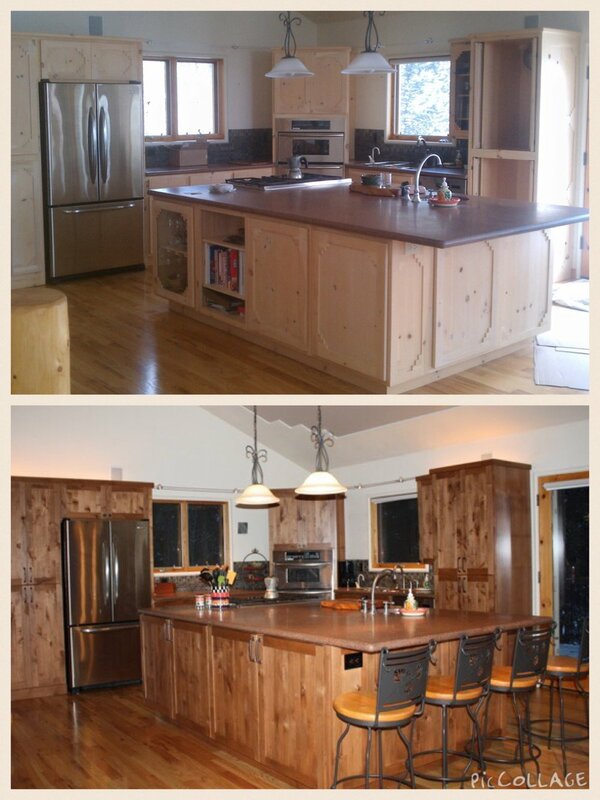 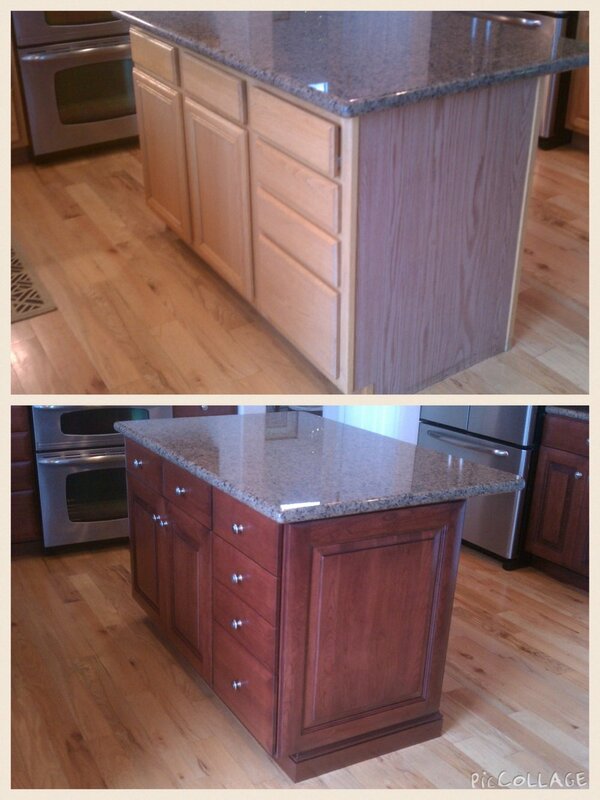 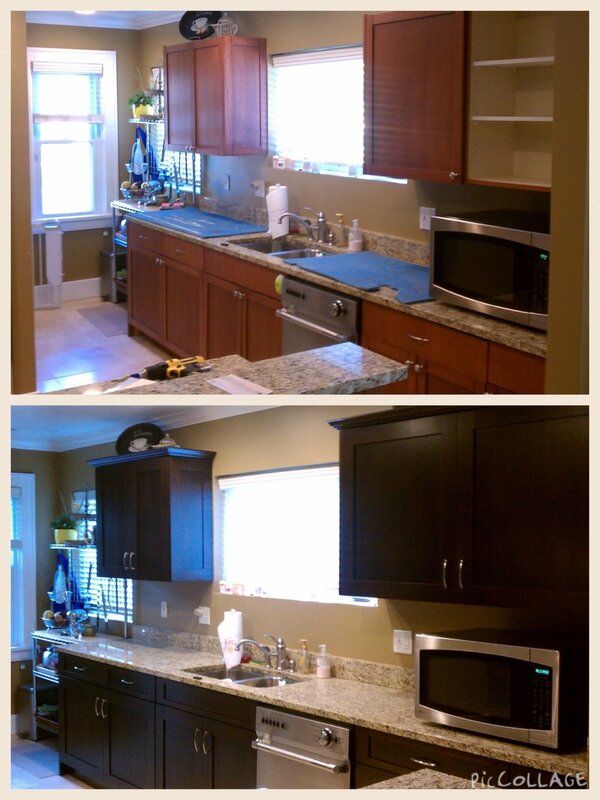 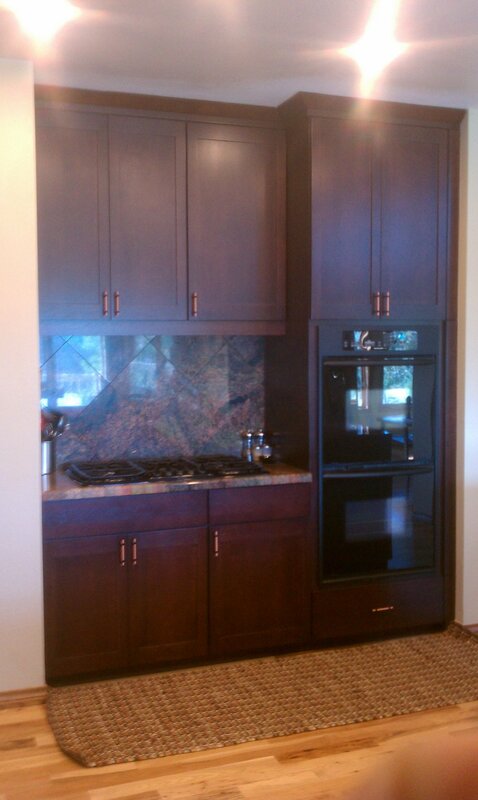 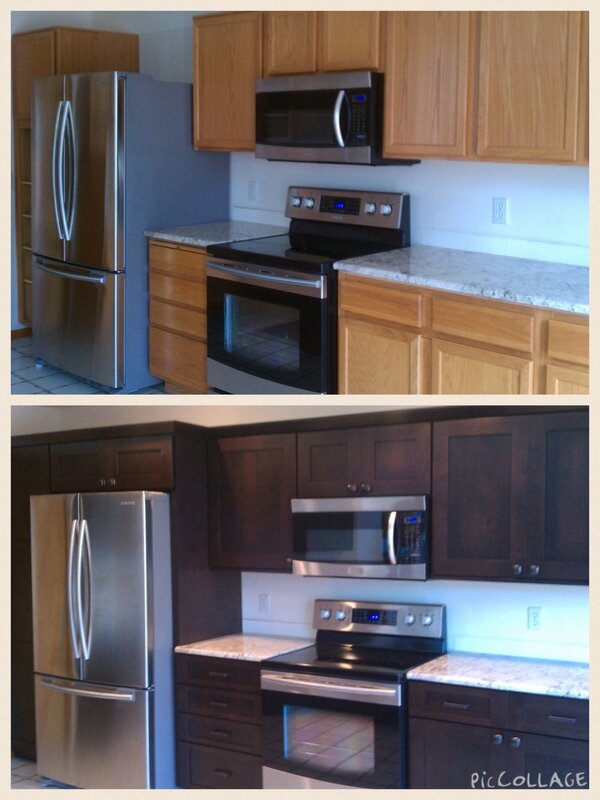 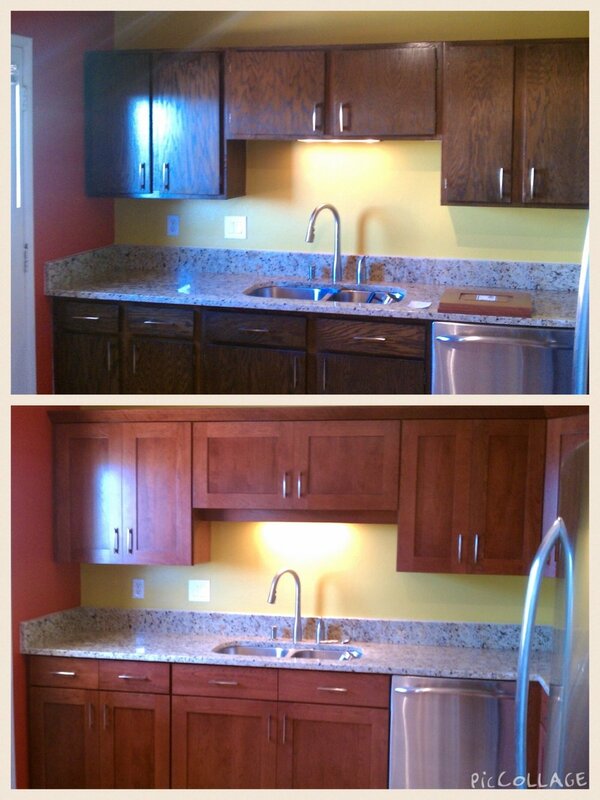 Shaker is a flexible design choice and by far the most popular cabinet style CCR installs. 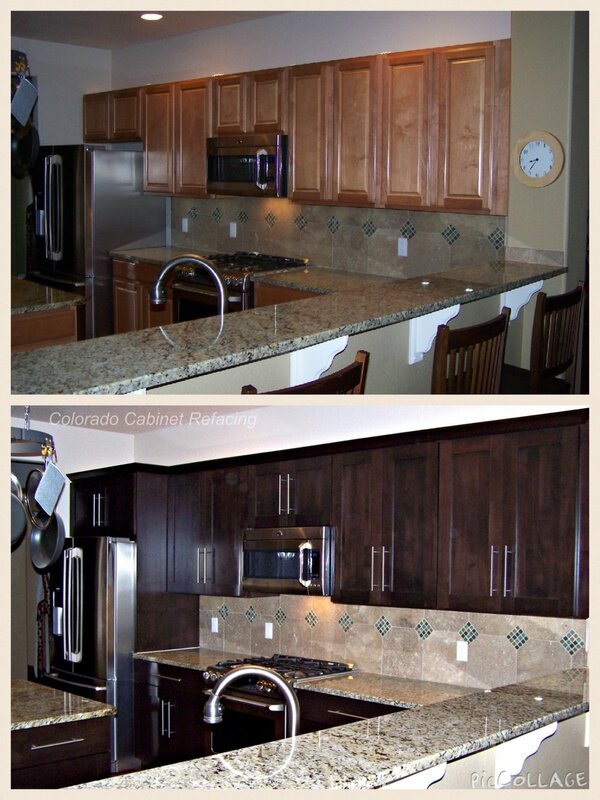 Looks best with full overlay spacing and with or without trim options. 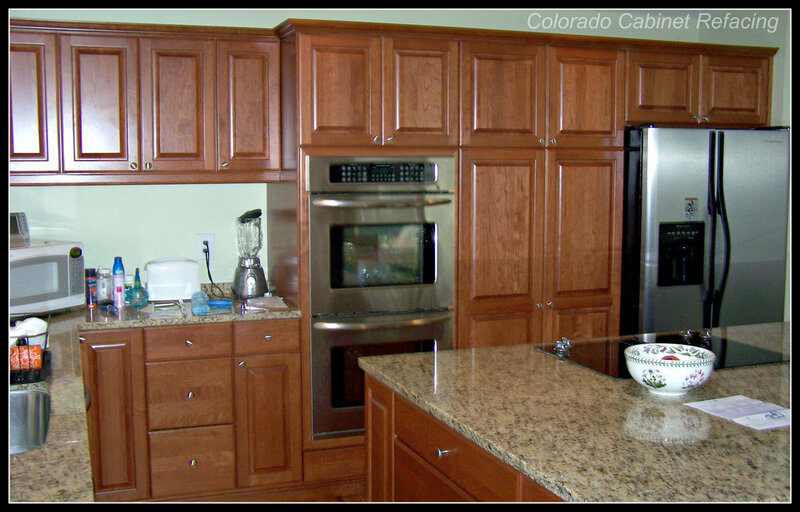 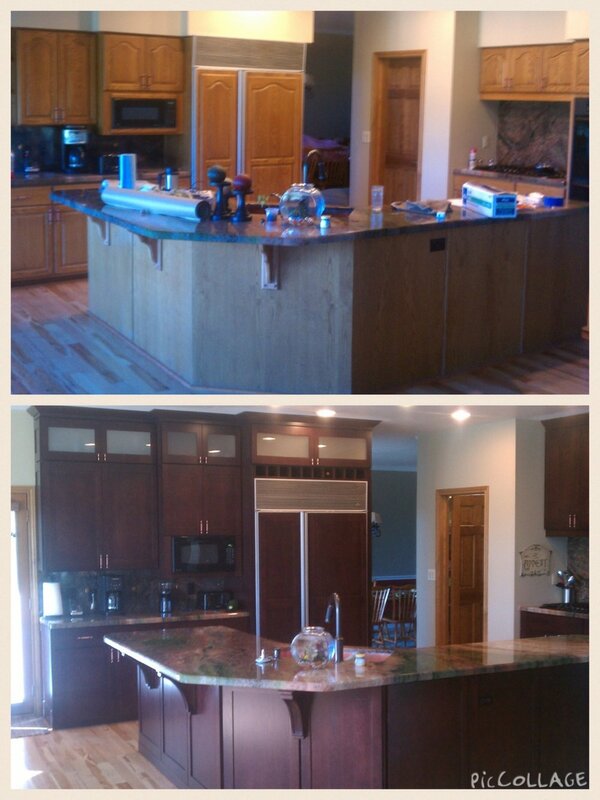 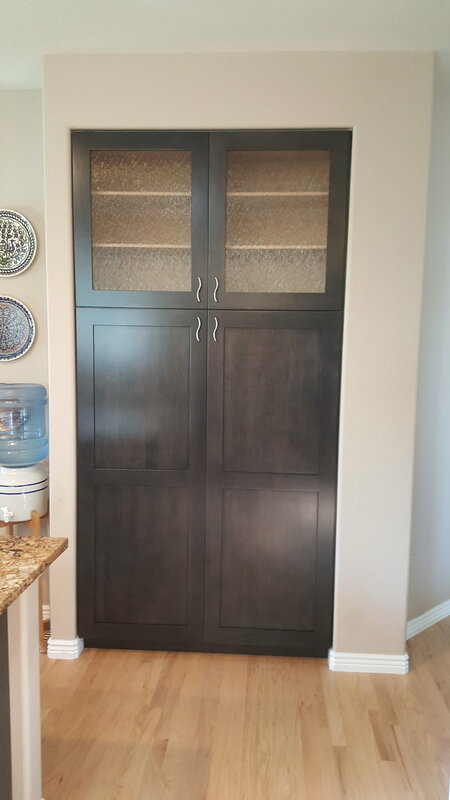 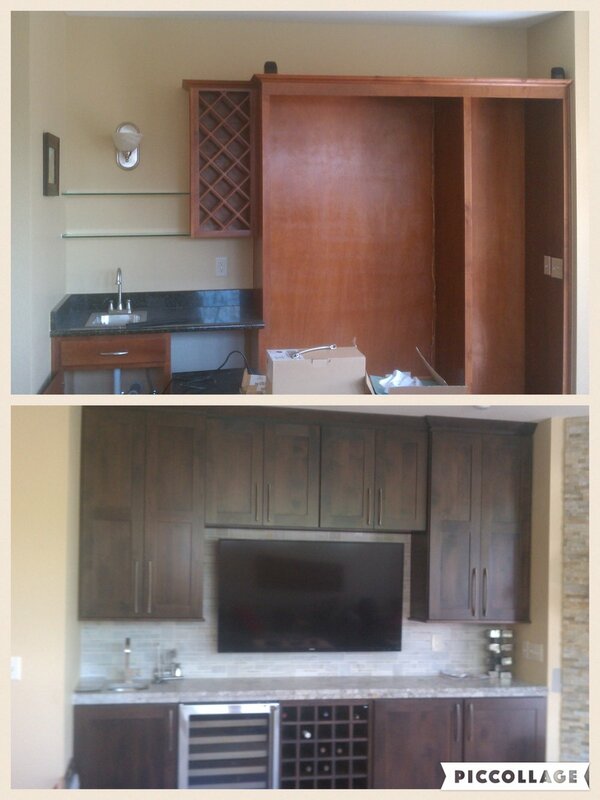 Raised panel door style kitchens. 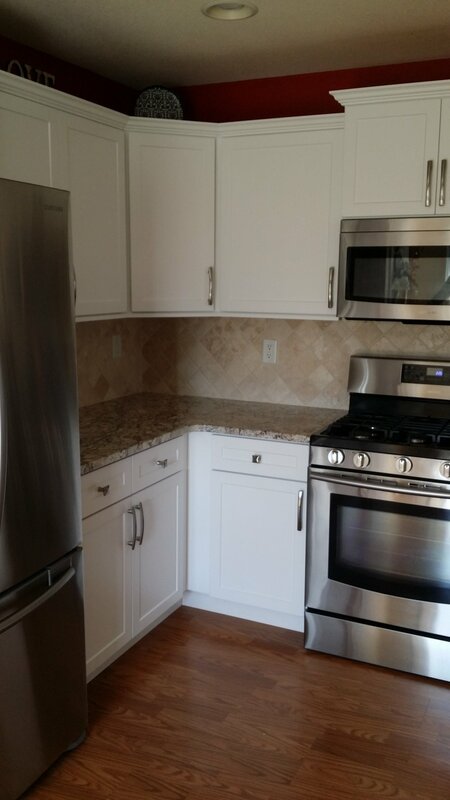 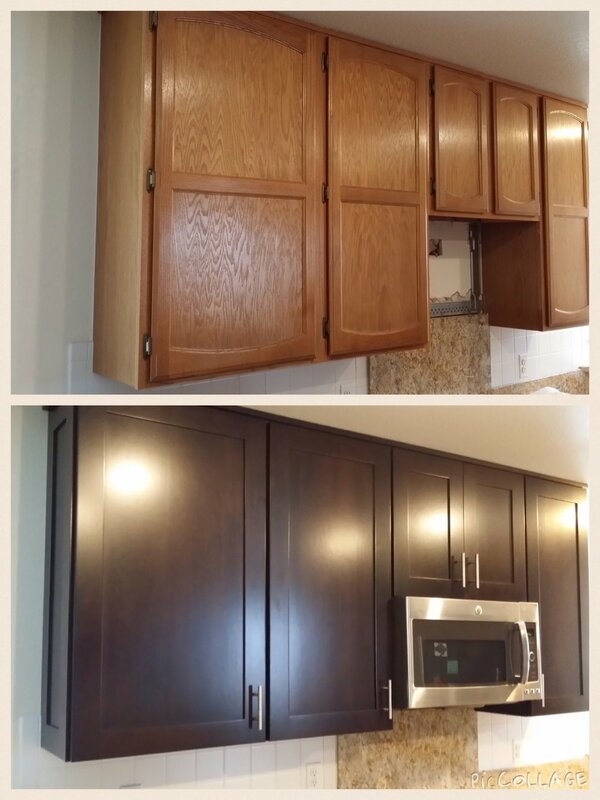 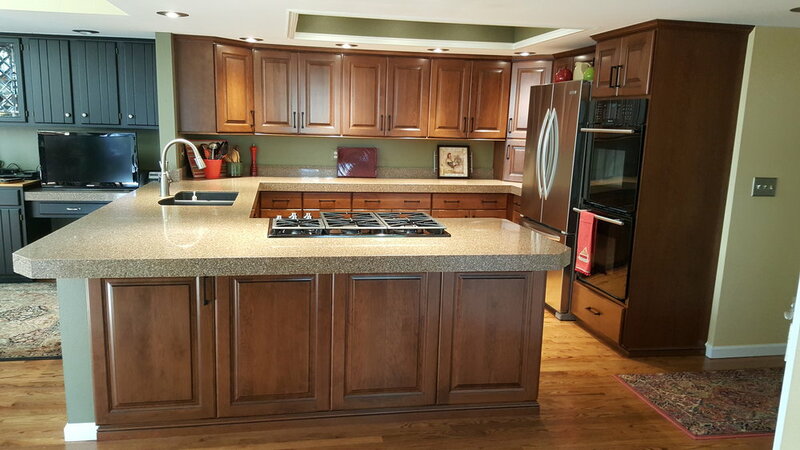 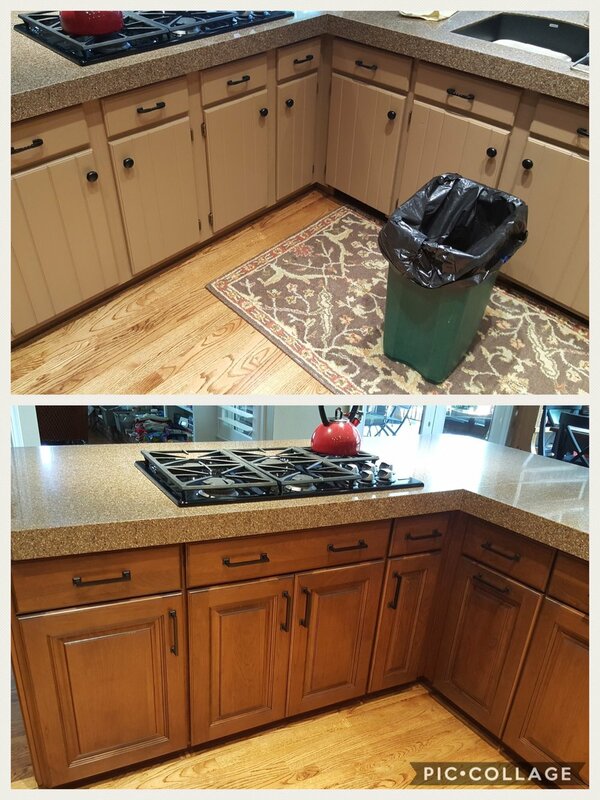 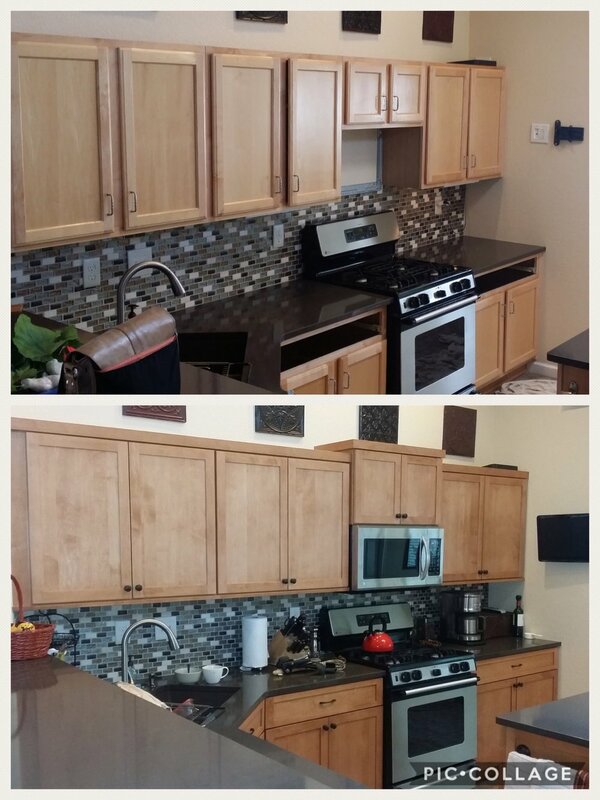 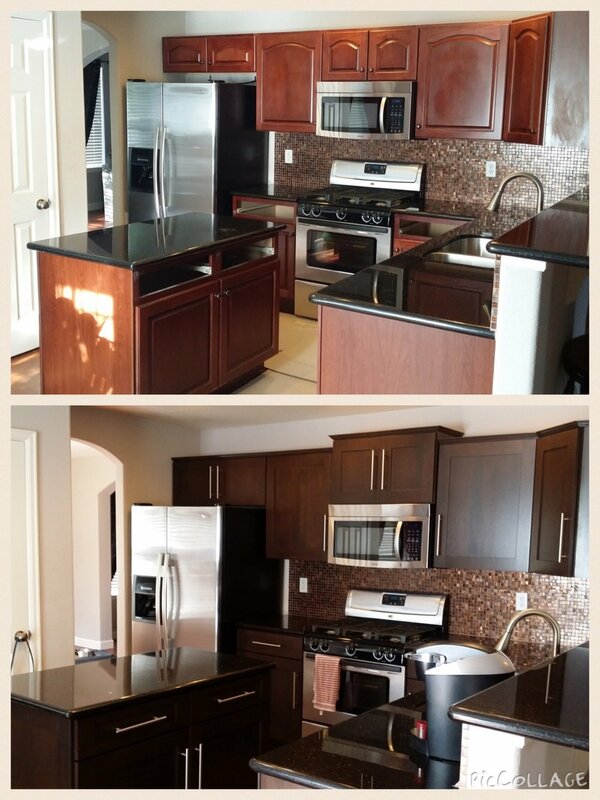 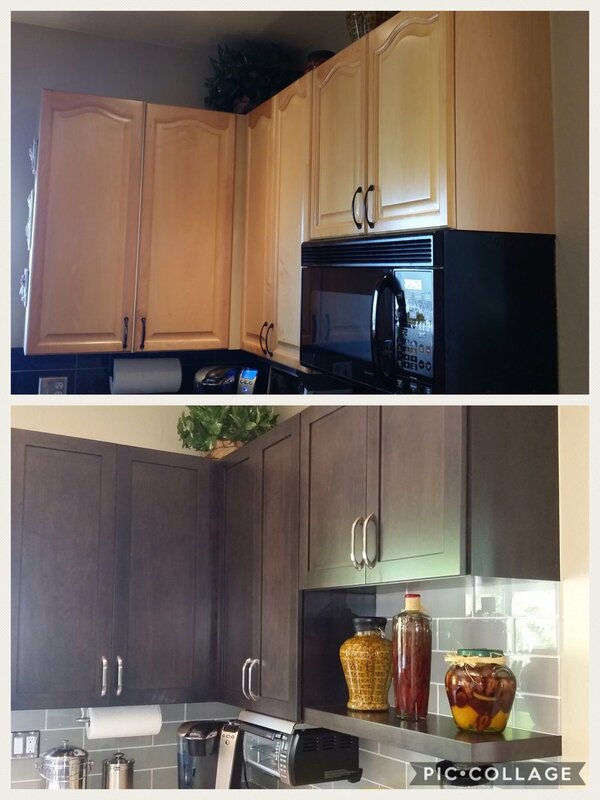 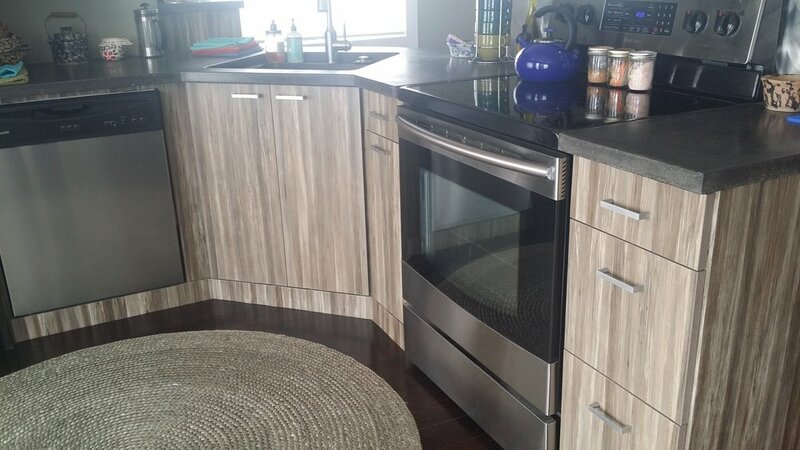 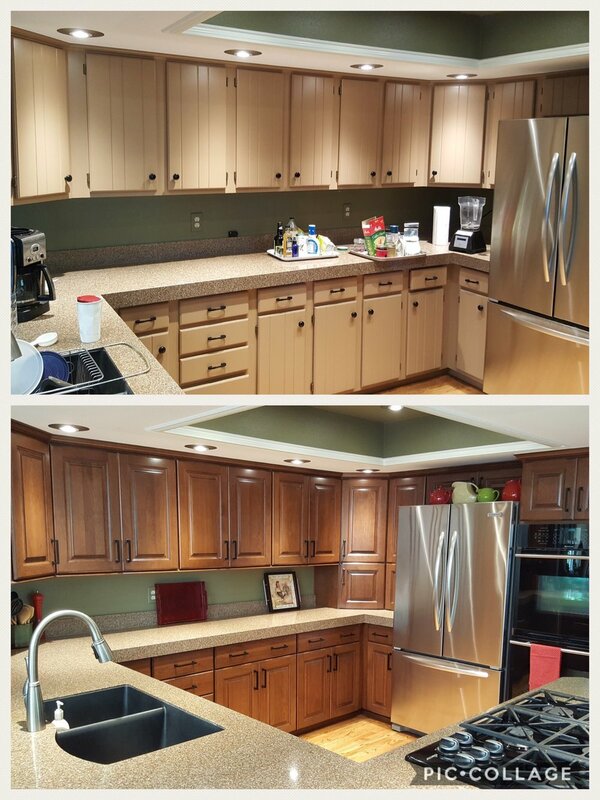 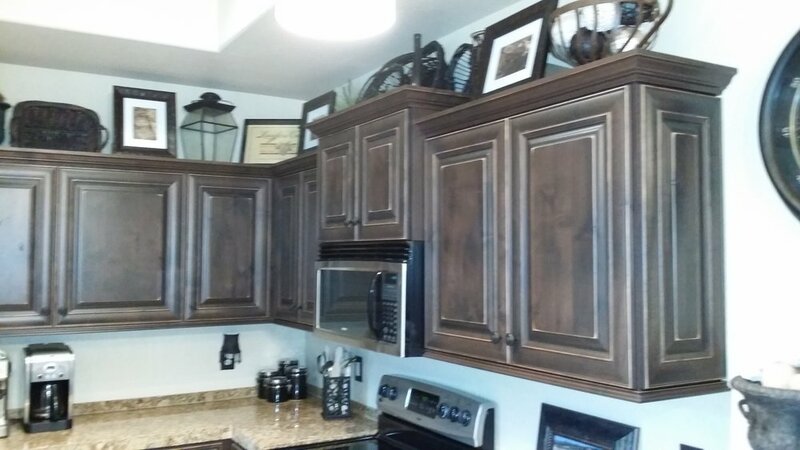 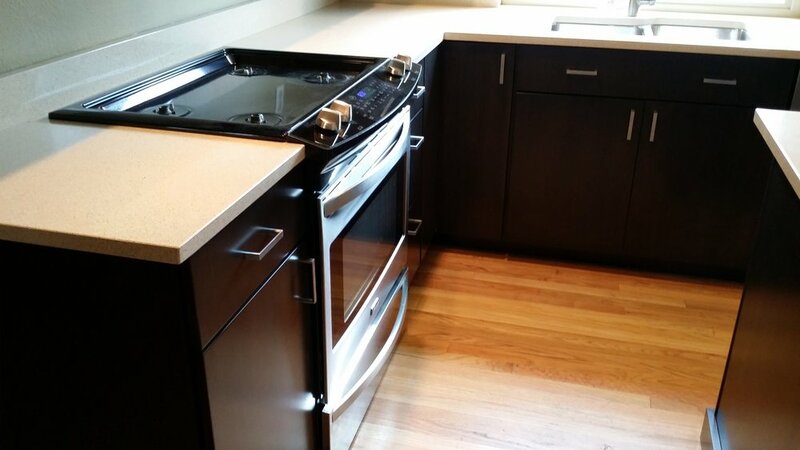 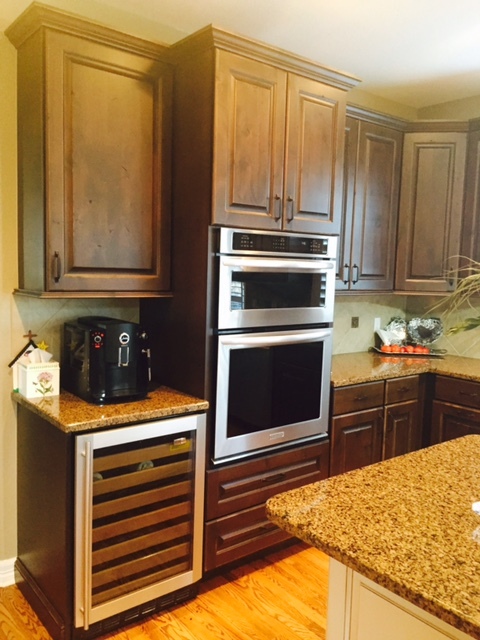 Many of the after photos in this section include optional accent glazing, full overlay, crown moulding, under cabinet trim, full size base boards, over sized microwave cabinets and more. 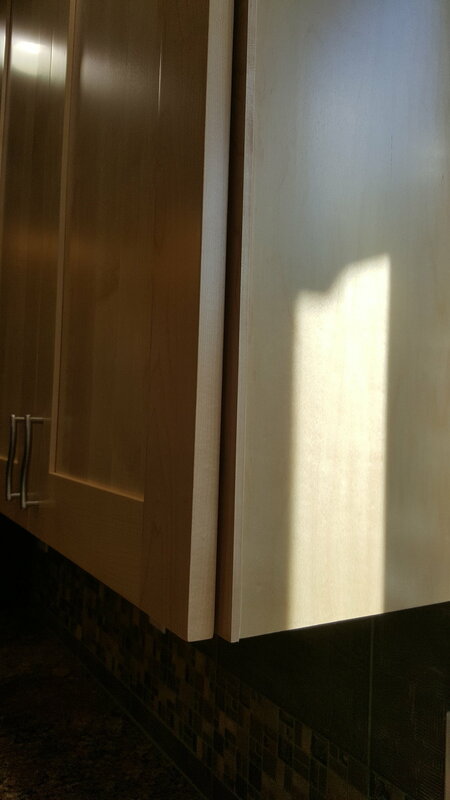 Flat minimal design door style. 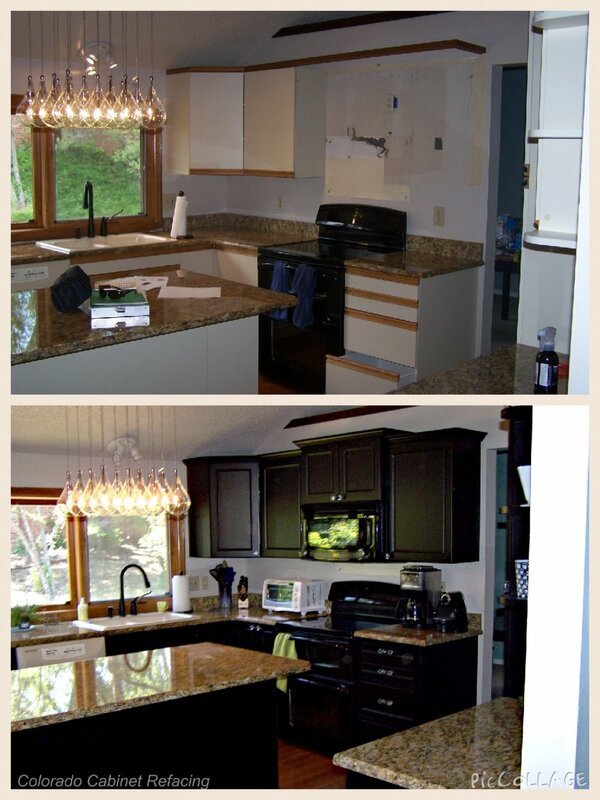 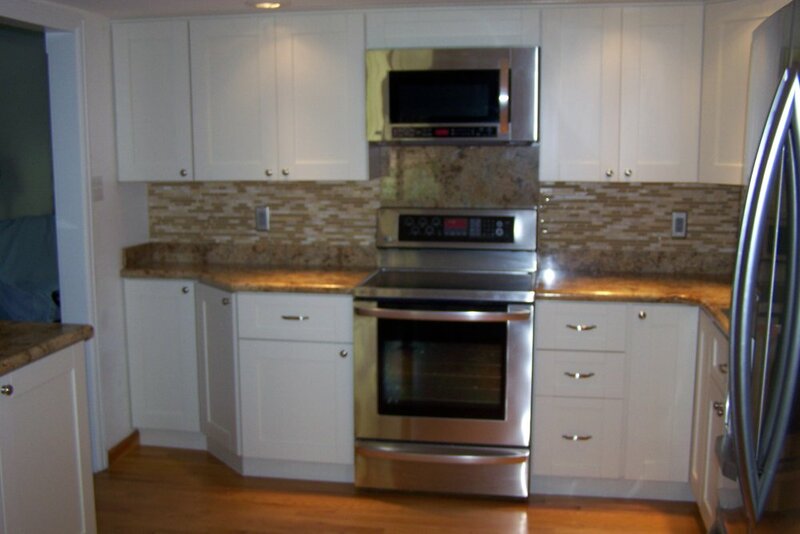 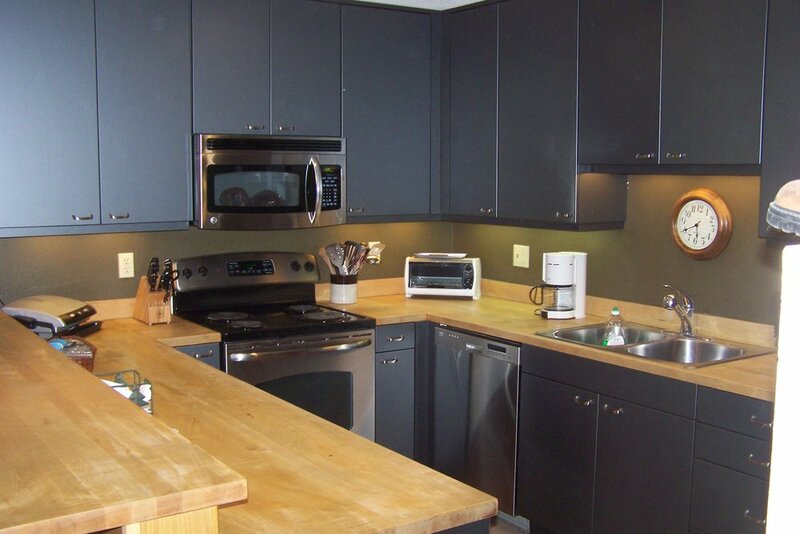 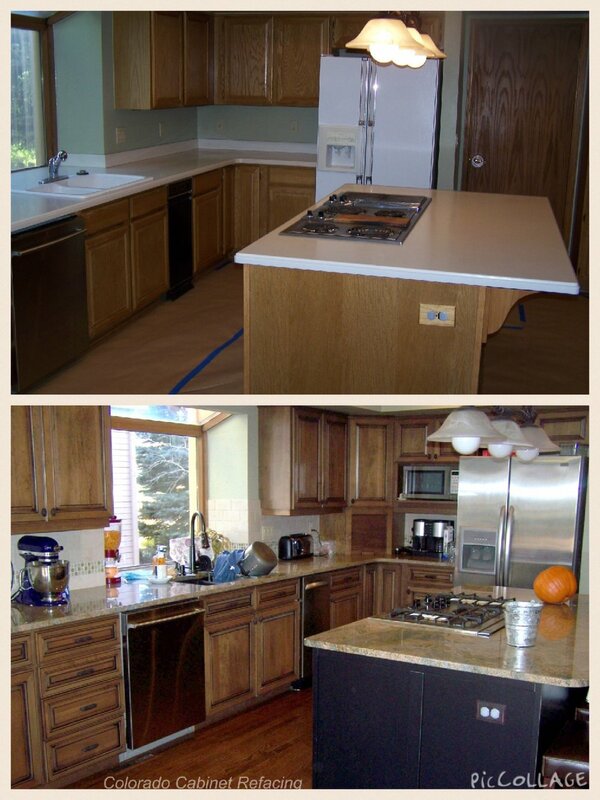 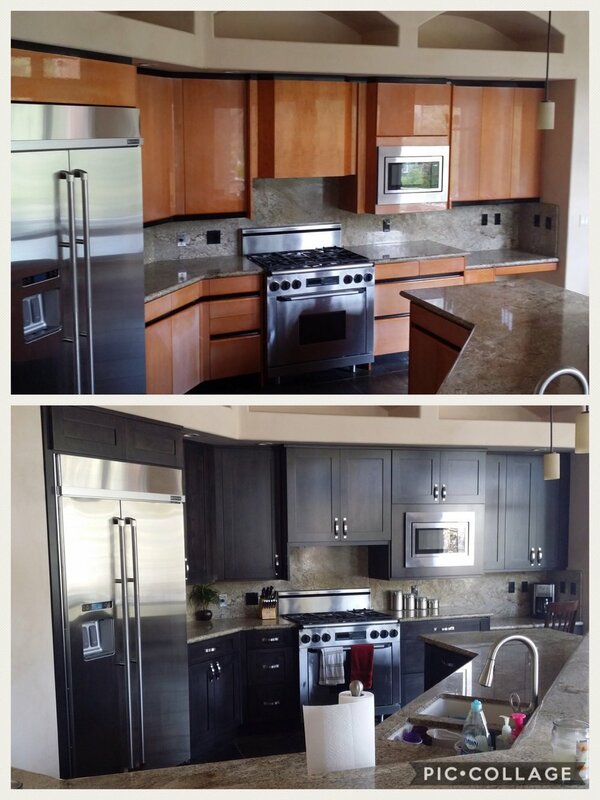 Looks best with full overlay spacing and no added trim for a sleek modern kitchen. 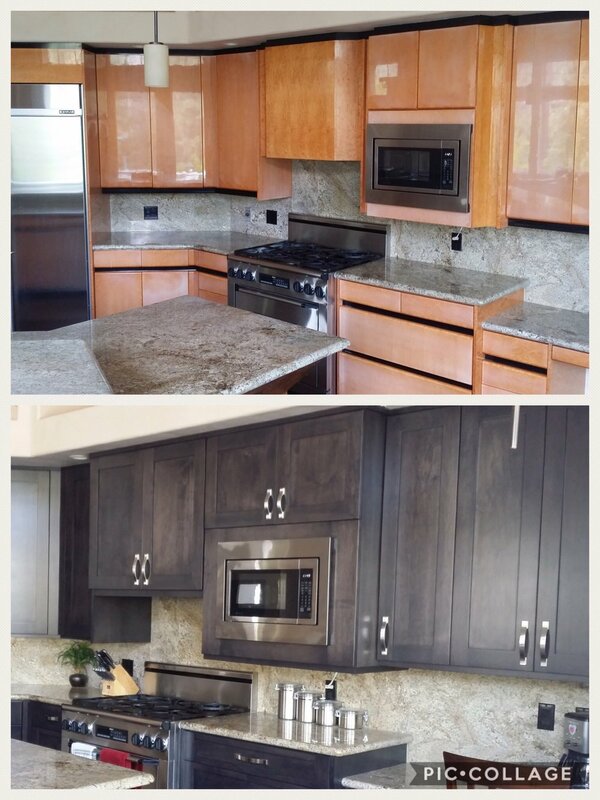 From matching horizontal or vertical grain patterns to unique textured materials, some exotic looks can be achieved with this style.